Don't pay high cab fares or struggle with luggage on public transport, a Chicago Airport Departure Transfer is the easiest way to make it to the airport for your flight on time, every time. 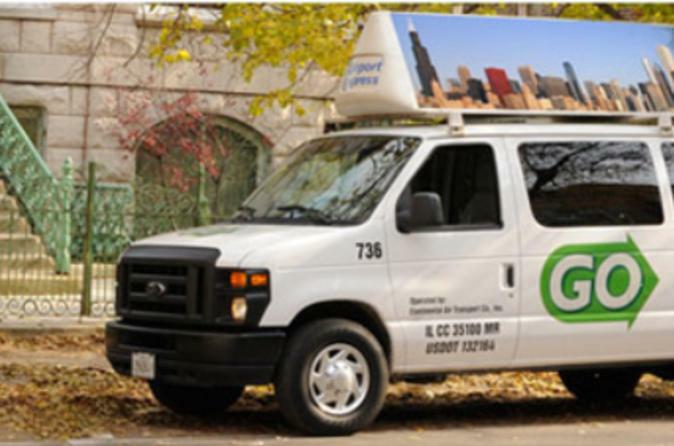 Operating from 4:00am to 10:00pm, transfers are available 7 days a week from downtown Chicago hotels to both of Chicago's major airports - O'Hare and Midway. Please Note: Transfers are valid from downtown Chicago hotels only.